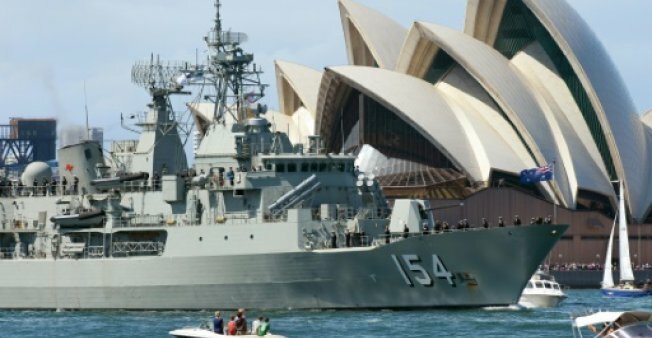 SYDNEY: Australia’s new frigates will be equipped with a long-range missile defence system to counter threats from rogue states like North Korea, officials announced Tuesday. Canberra in May revealed details of a massive shipbuilding strategy, its largest peacetime naval investment, including 12 new submarines and 12 offshore patrol vessels. The Aus$89 billion (US$70 billion) package to shore up defence capabilities also featured nine new frigates. Prime Minister Malcolm Turnbull said the frigates, primarily meant for anti-submarine warfare, would be armed with Lockheed Martin’s Aegis combat management system together with a Saab Australia-developed tactical interface. “Recent events in our region have proven that Australia’s future frigates must be equipped to defend Australia from the threat of medium and long-range missile attacks,” he said, referencing North Korea. He added that the new ships, whose construction is due to start in 2020, would be operating in “a complex and growing threat environment”. The announcement comes as international alarm mounts over Pyongyang’s weapons ambitions, with the rogue regime recently detonating its sixth nuclear bomb while test-firing intercontinental missiles — saying it needs to defend itself against the threat of a US invasion. Under Canberra’s defence plans, its current ANZAC and Adelaide class frigates will be replaced at an estimated cost of Aus$35 billion, with Britain’s BAE Systems, Italy’s Fincantieri, and Spain’s Navantia in the running to design them. The navy’s Armidale offshore patrol vessels, designed for border protection, will also be renewed and there will be 12 new submarines to replace the ageing diesel and electric-powered Collins Class fleet.